Great way to start the best way to remember vocabulary...let's sing and take notes! Here is a link to a sheet I made reviewing the song and an experiment separating a mixture with a screen, filter, and evaporation. FOSS friendly! 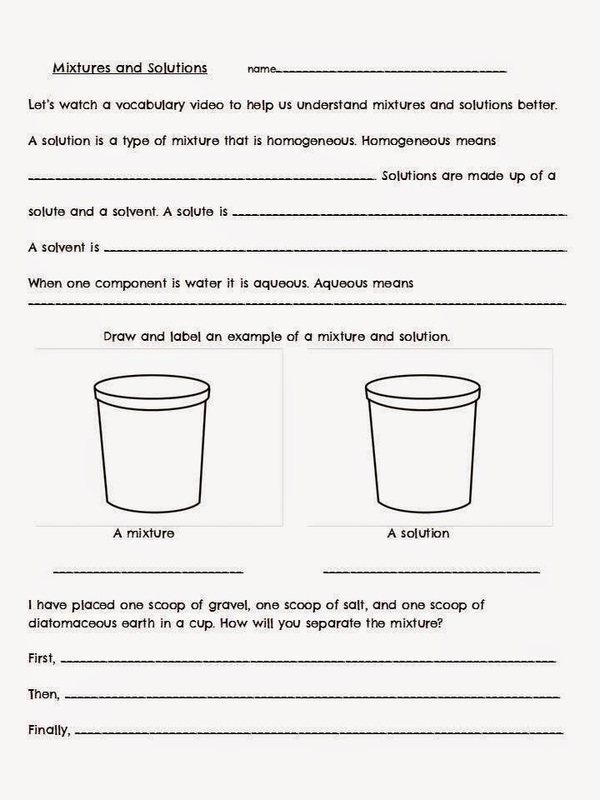 Mixtures and Solutions Sheet. Another FREEBIE for you! This is a great way to remember solute...solvent...the three ways we separate a mixture...screen...filter...evaporation. FOSS review for you! And a song to wrap it all up in a bow!